Paragon » PARAGON back in Italy 2017! PARAGON back in Italy 2017! 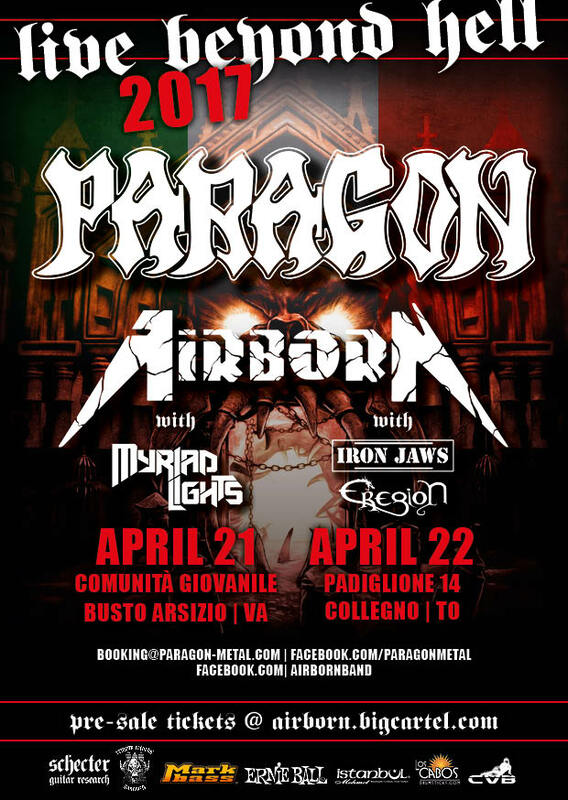 We are very proud to return to Italy in 2017 for two shows with our friends Airborn and local support bands Iron Jaws, Eregion & Miriad Lights. Many, many thanks to Alesio from Airborn for organizing these shows! We really hope to see a lot of Italian Metalheads at the shows, sign stuff and drink some beers with you. For April 22nd 2017 you can order tickets here.